POLYPIPE Manufacturer's Part Number: PB4822. POLYPIPE PolyPlumb 4 Port Double Sided Manifold, 22mm x 10mm, all PolyPlumb Push-Fit Sockets. 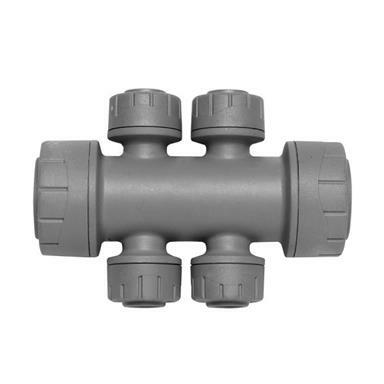 - Can be converted to Valved Manifold with the use of Ball Valve (purchased separately).